Safe to Lick and Happy Bathing: 100% Made of FDA approved silicone, safe for food contact, non-toxic.Apply peanut butter or cream cheese to your Licking Pad. It sticks tightly to tiles, glass, metal, polished wooden surfaces. When your buddy licks these foods it will be both easy and have a pleasant bath grooming time. 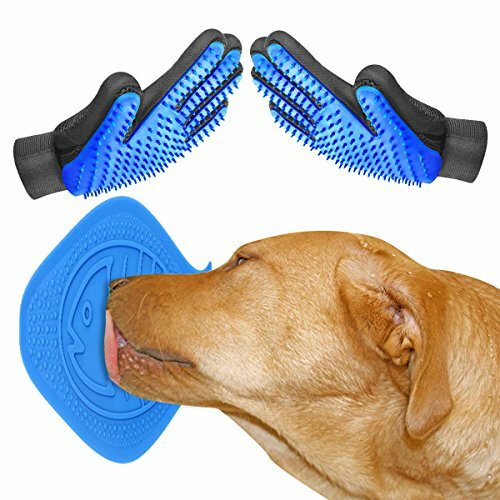 Dog Grooming Glove and licking pad.